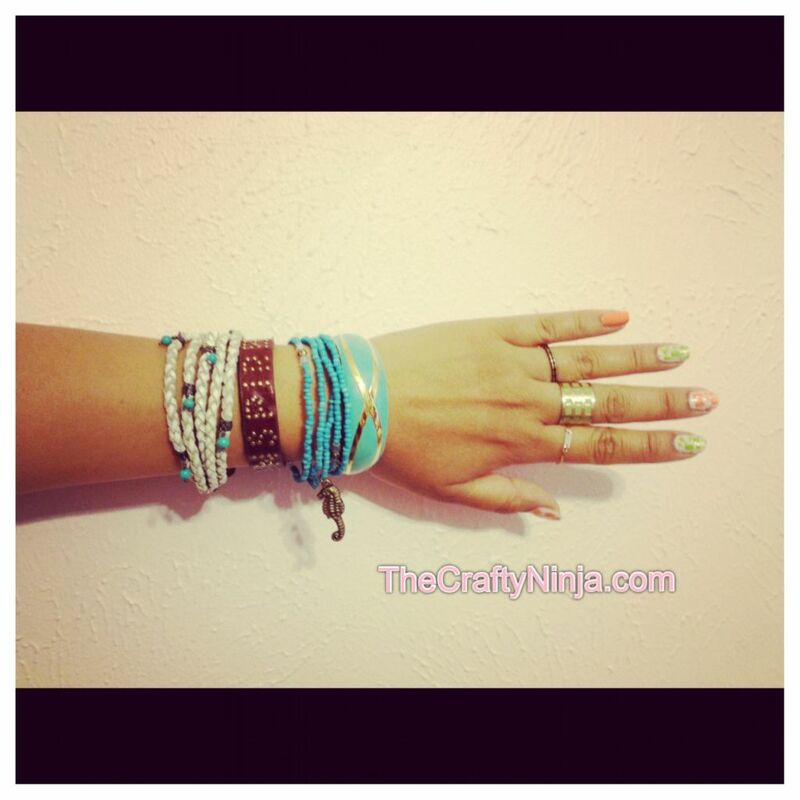 Bracelet Layering, Arm Candy, or Arm Swag is the current hot trend of the season. I love the look of chunky and simple put together. Layer it all or layer a few items at a time. Also adding multiple rings is a must! The color scheme I went for in this look is Turquoise. Starting from left: Chan Lu, Fossil, Stretchy Bracelets, and Vintage. 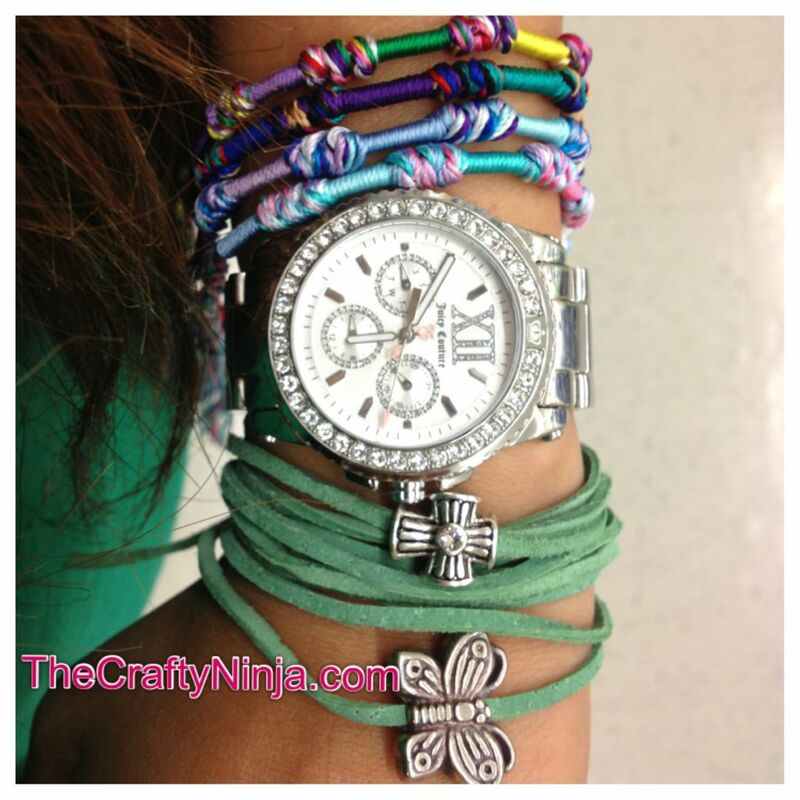 Here is another one of my Bracelet Layering Looks: Friendship Bracelet, Juicy Couture Watch, Sideways Cross (similar one here), Sideways Butterfly wrap bracelet.